Last night, Jessica Jones Season 1 finally premiered on Netflix to the joy of many Marvel fans and the curiosity of casual browsers subscribing to the streaming platform. There’s a lot of ways it distinguishes itself from its predecessor Daredevil, one of those being that Jessica isn’t the only superhero on the show. Mike Colter’s Luke Cage is an important supporting player, and while she isn’t in costume yet, Jessica’s best friend in this universe is Patsy Walker, a.k.a. Hellcat in the comics. However, years ago when the show was in development for broadcast television, another well-known Marvel superheroine was supposed to be in Patsy’s place: Carol Danvers, who fans know better as Ms. Marvel/Captain Marvel. Back when it was at ABC Network, I did use Carol Danvers. But between then and when it ended up on Netflix, you know, the MCU shifted, and it also shifted away from the universe in the [comic] book. So in the book, the powers are very out in the open and the themes of that are about ‘the other,’ and in the cinematic universe that’s not the mythology. 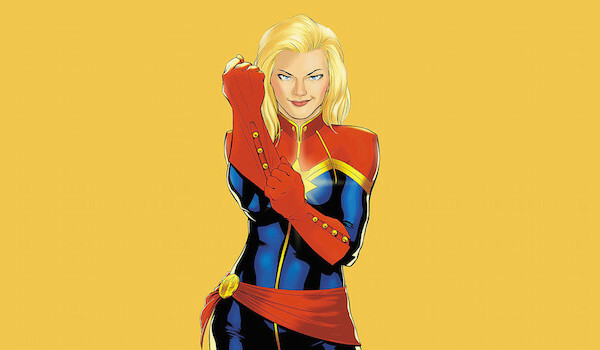 So there was a lot that I had to move away from, just in terms of sheer plot, and Carol Danvers got her own movie. Rosenberg then noted that substituting Patsy for Carol proved to be a “more appropriate fit,” as she serves as a “great mirror” for the eponymous protagonist. So had Jessica Jones aired on ABC as intended, it sounds like Carol would have already had her abilities, like super strength, flight and energy projection, but following the show’s delays, Marvel instead decided it was better to feature Carol’s origin and adventures over on the movie side of things. Still, if those rumors of the Netflix Defenders eventually appearing on the big screen are true, perhaps Carol and Jessica’s friendship in the comics will be realized in live action one day. This wouldn’t be the last time Carol would be bumped from an MCU project. She was originally intended to appear in Avengers: Age of Ultron as one of the New Avengers recruits seen at the end of the movie. However, director Joss Whedon decided he didn’t want Carol to appear in costume before the audience got to know her, so she was taken out. As it stands now, fans can now expect her to debut in her solo movie in 2019, and casting is still underway to find the right actress. You can watch all 13 episodes of Jessica Jones right now on Netflix.